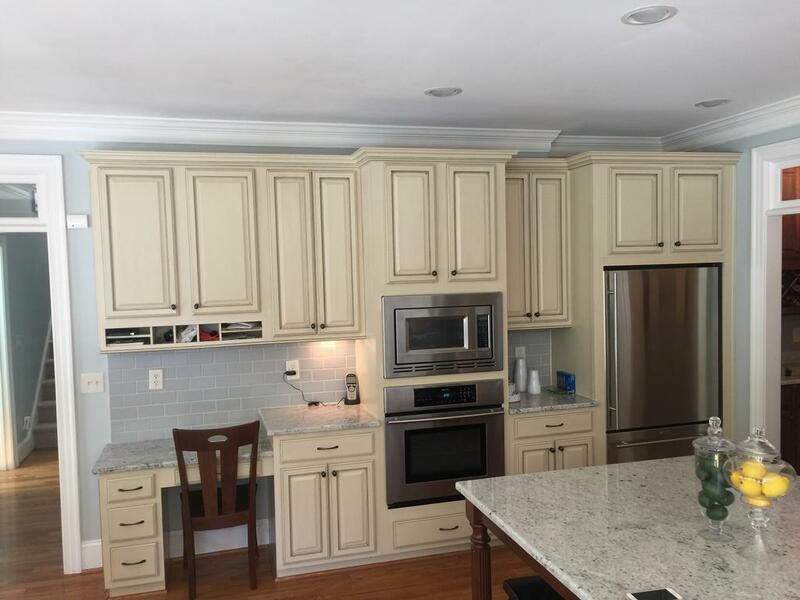 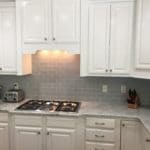 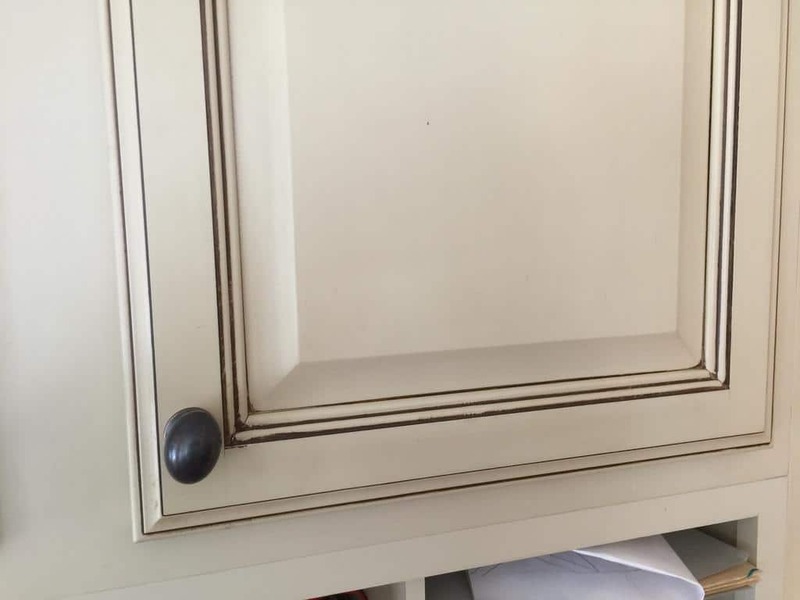 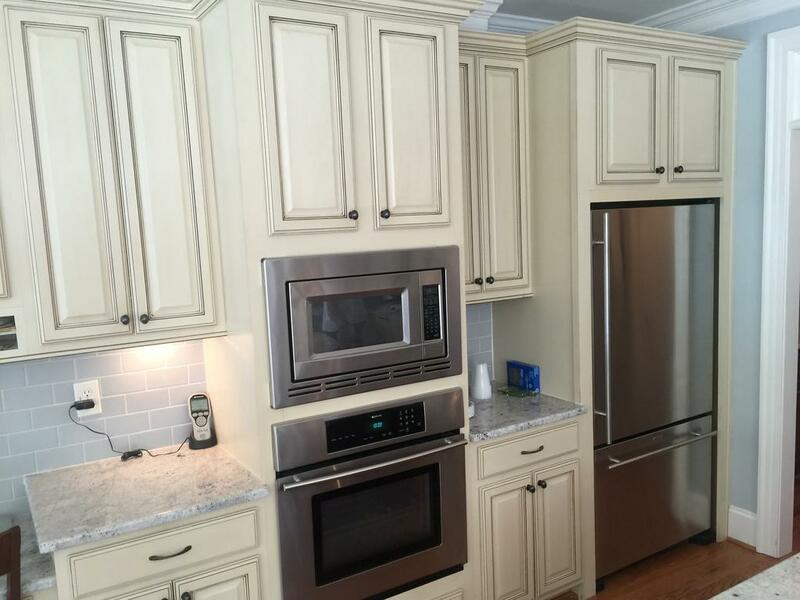 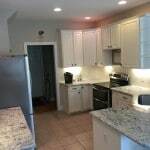 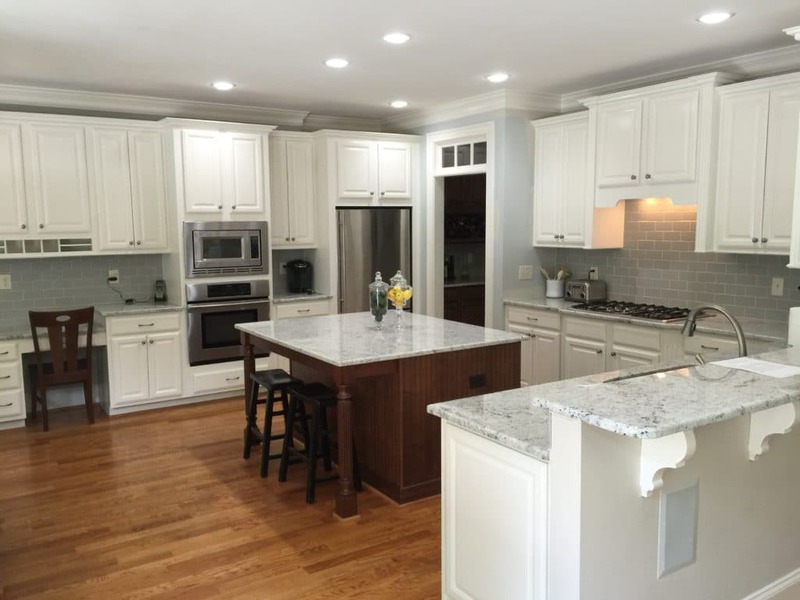 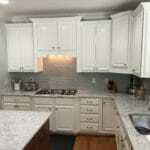 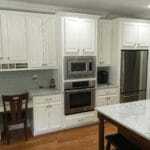 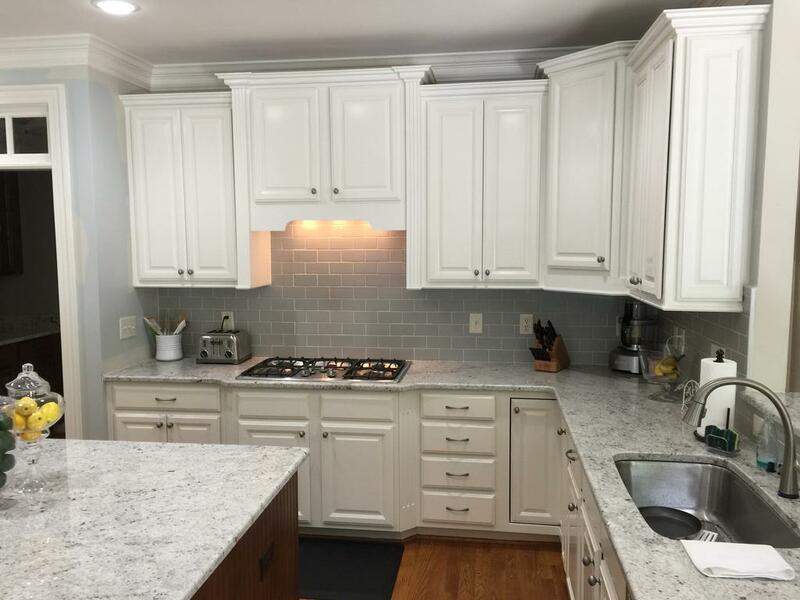 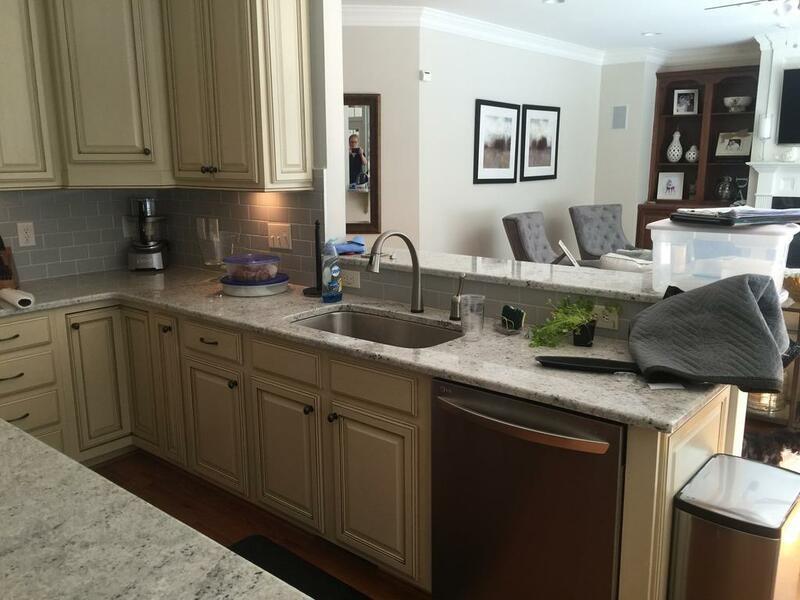 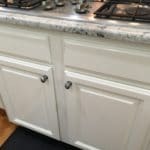 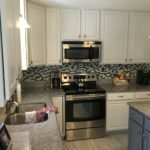 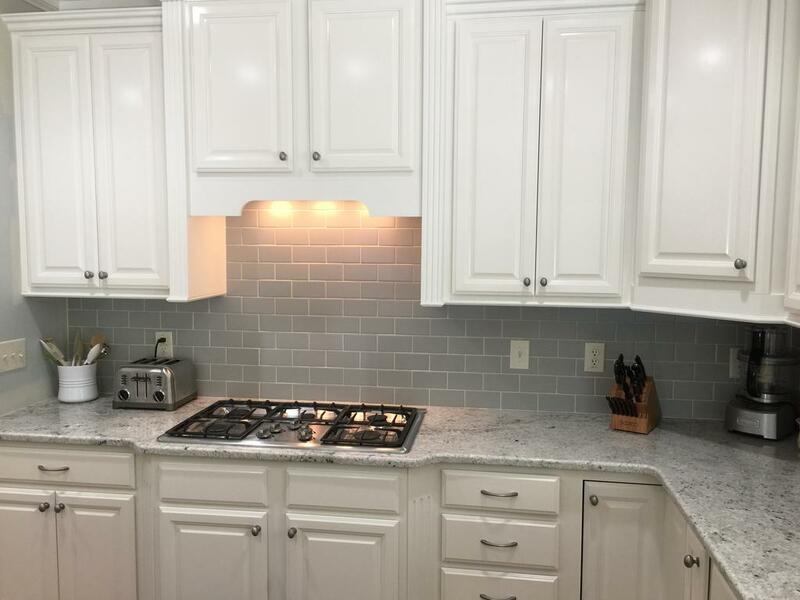 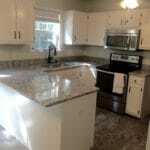 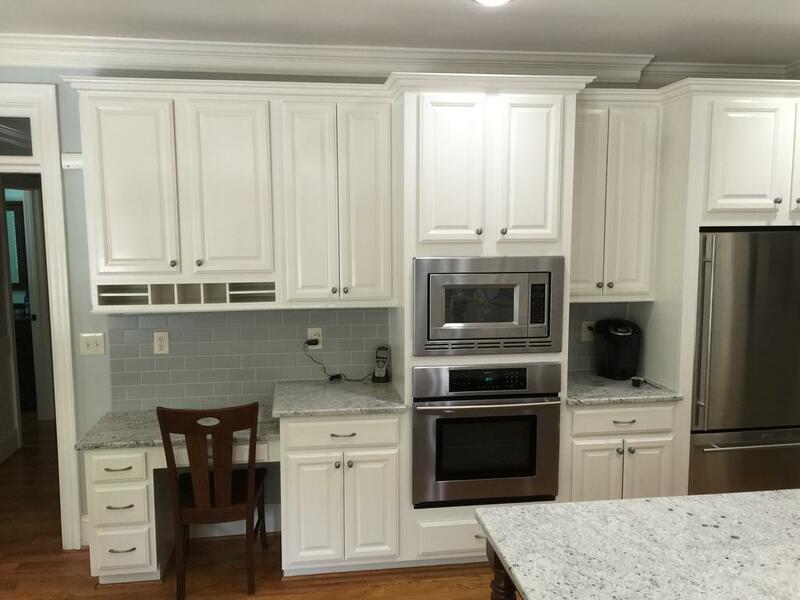 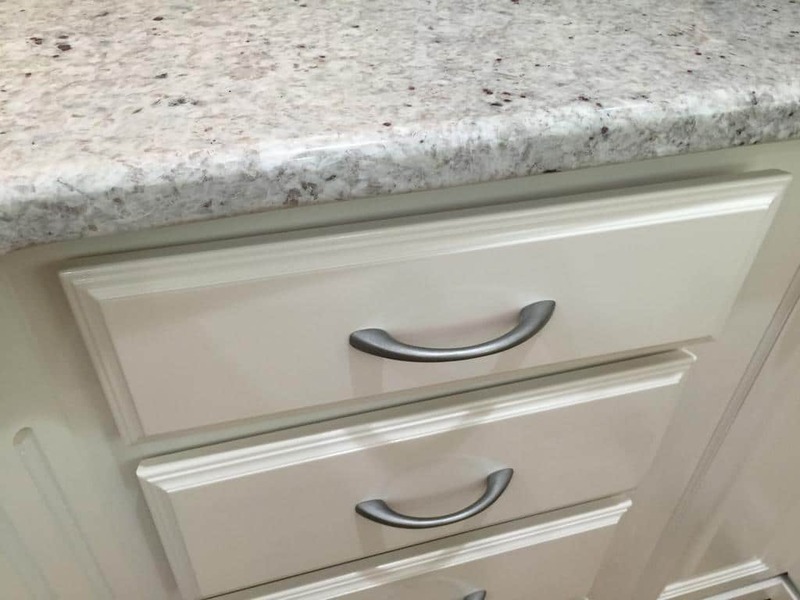 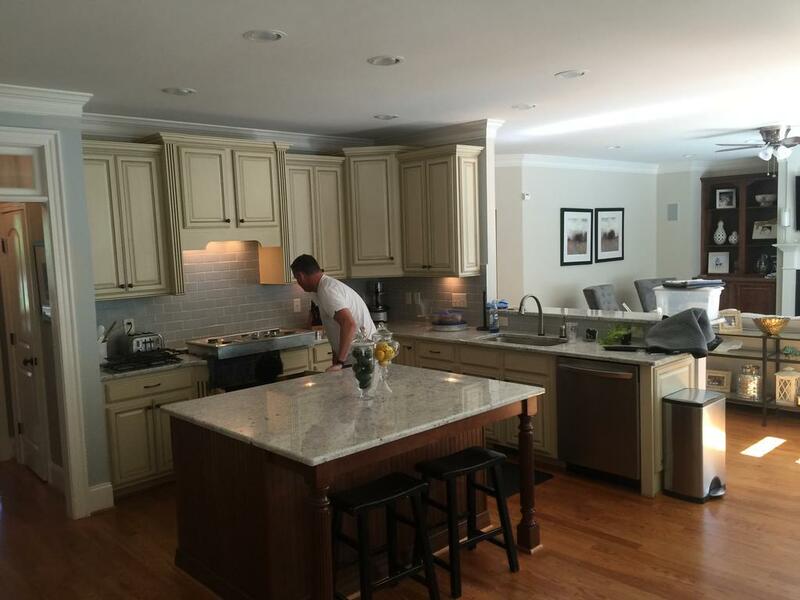 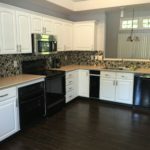 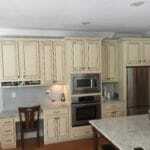 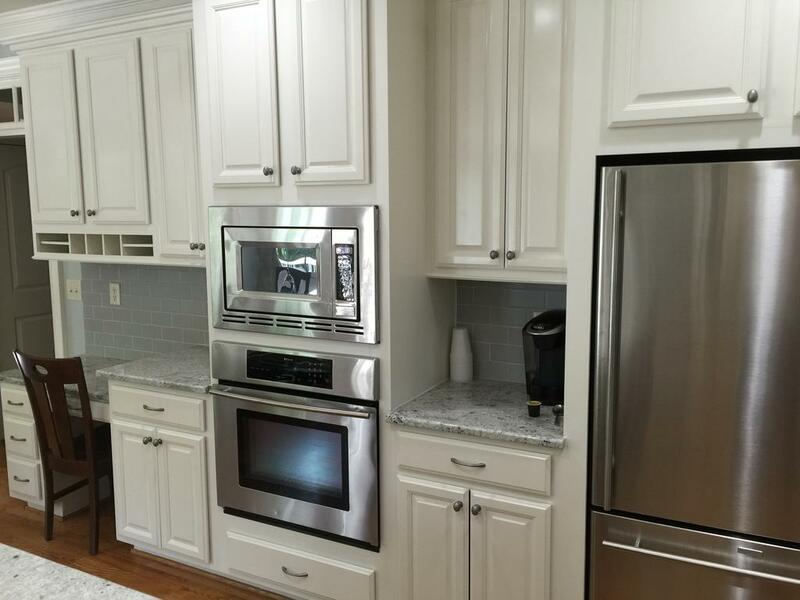 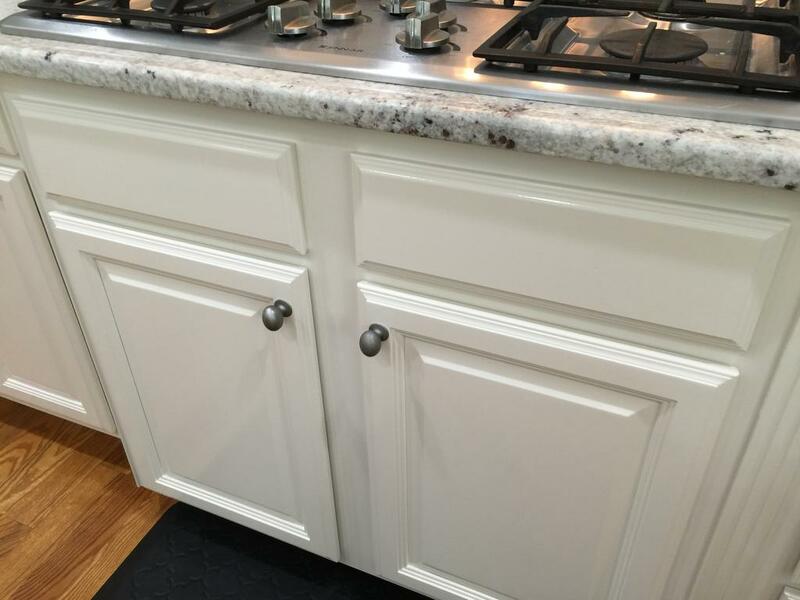 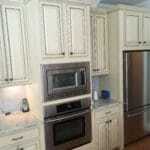 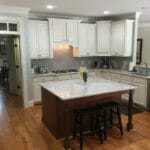 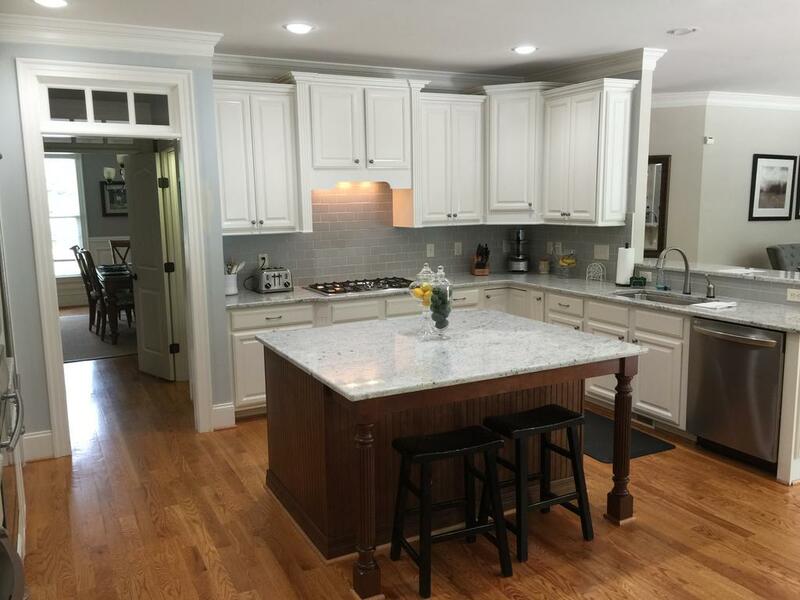 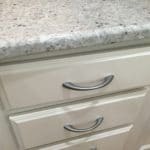 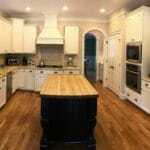 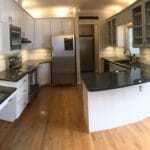 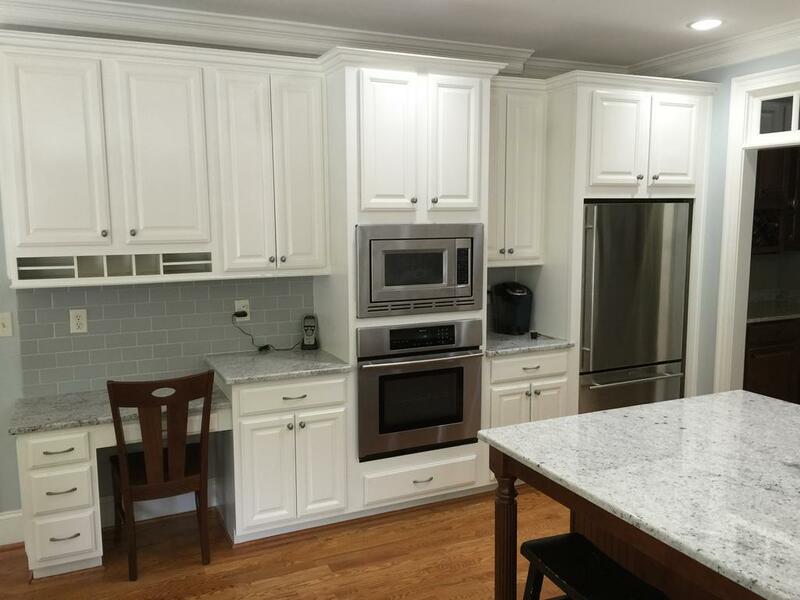 The cabinets in this kitchen had been previously painted and pinstriped, but the style wasn’t what the homeowner wanted so we matched their trim work (a soft, warm white) with Sherwin Williams’ Creamy. 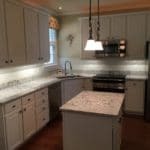 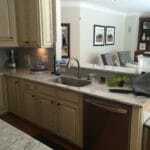 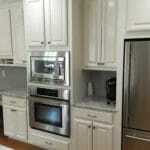 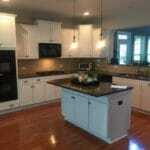 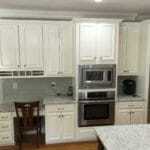 It instantly freshened up the room and made it more modern and bright. 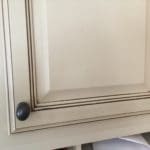 We also updated the hardware with stainless steel paint – it’s an easy way to completely change the look of your room!